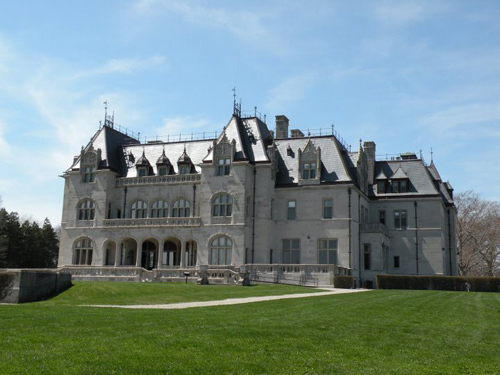 Best Newport Mansions - Which is your favorite? Newport mansions. I toured most of them as a child with my family, and spent many years working parties in them as well. The opulence of The Breakers and Marble House is unbelievable. The Elms has that rear lawn and garden. You've got the fountain and the view from Rosecliff, and Rough Point has an underground salt-water pool! I love them all, but if I have to pick one my choice is The Breakers. But I'm more interested in your opinion. Share your thoughts below on your favorite. Which Is Your Favorite Newport Mansion? If you could go back in time to the Gilded Age and live in any of the Newport mansions, which would you choose? If you've seen any of these amazing homes, which one is your favorite? Share your opinions, stories and photos of your experiences at the Newport mansions. Click on the links below to see other opinions on the best Newport mansions.